Today's ink is Robert Oster Emerald. 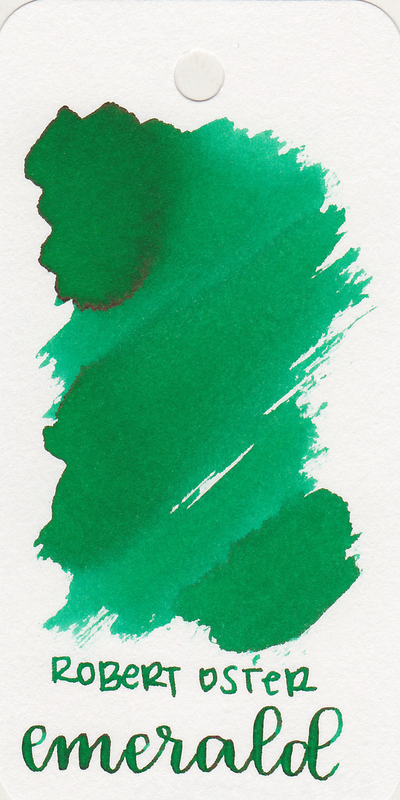 I've been obsessed with red, green, and shimmer inks for the holidays, and I think this one is a decent Christmas green. I purchased my sample of ink from Vanness Pens. 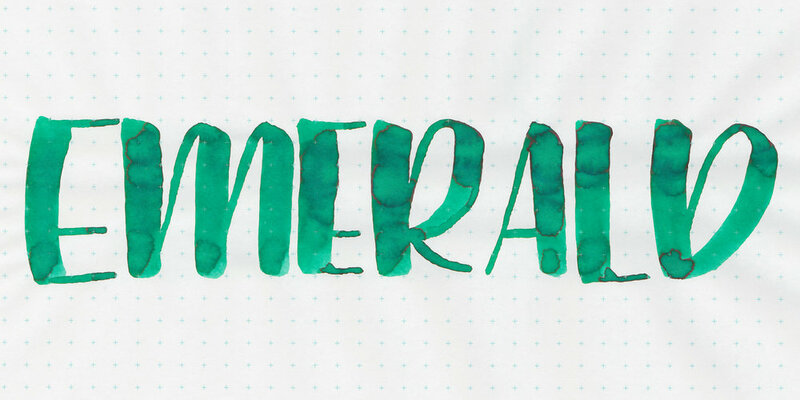 Emerald is a medium green with some shading and sheen. The ink drops show off it's beautiful dark pink sheen. Other properties: Medium shading, medium pink sheen, no shimmer. On 20 pound copy paper there was a little bit of feathering but other than that the ink did really well. Ink swabs for comparison, left to right (top to bottom for mobile RSS): Robert Oster Green Diamond, Robert Oster Emerald, and Robert Oster Spearmint. Click here to see the Robert Oster inks together. Green Diamond has just a little bit more blue in it than Emerald does, and Spearmint is much darker than both of them. 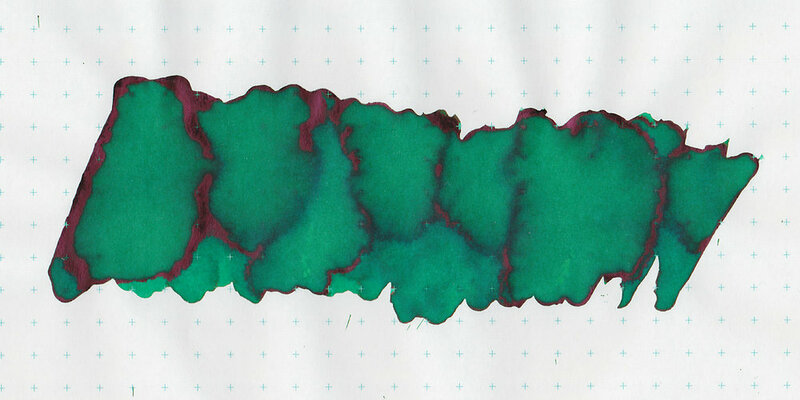 Diamine Kelly Green, Robert Oster Ryde Green, and Robert Oster River of Fire. Click here to see the green inks together. I used a medium Pelikan M800 Renaissance Brown on Tomoe River paper. The ink felt average in flow. I have fallen in love with this nib. I want this pen in every color. Overall, it's a solid performer, however the dry time is a little long. Robert Oster has so many good greens, which is great, but after a while the inks aren't different enough to need one of every single color.